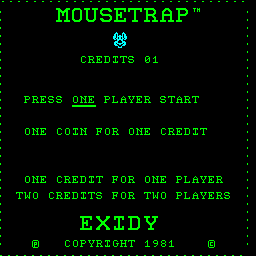 Play Mouse Trap (version 5) online with Arcade browser emulation for free! 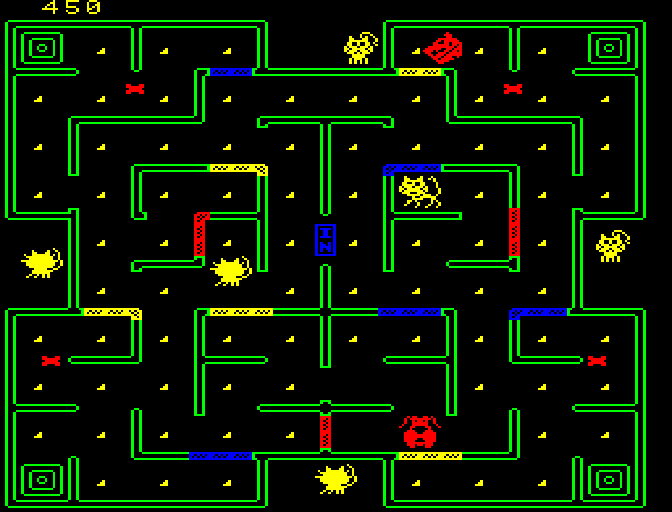 Mouse Trap (version 5) (MAME) game rom is loaded with features in our flash, java and rgr plugin emulators. Nothing to configure, we've done it for you! 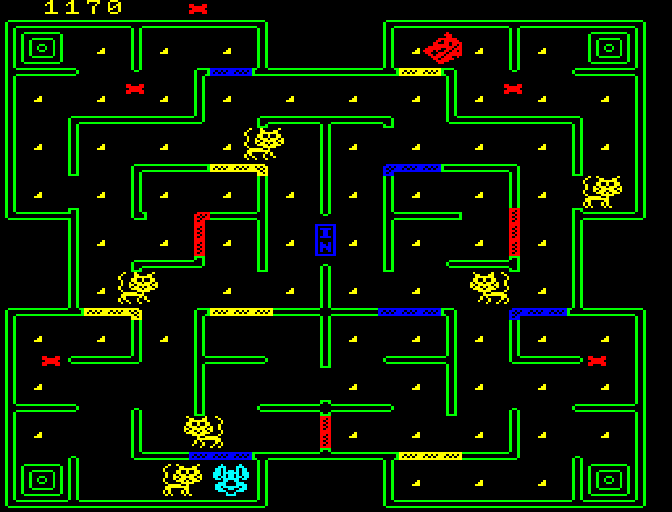 Overview: Mouse Trap was a game released by Exidy in 1981. 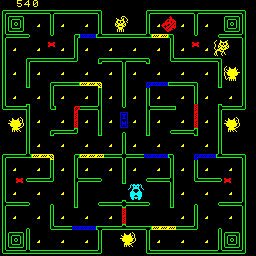 Similar to many others at the same time, it was a Pac-Man clone, but with a twist; players took control of a mouse with a strong desire for cheese. 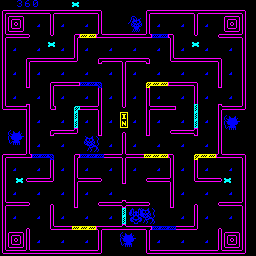 You had the power to alter the maze, similar to Lady Bug. The game, while having a somewhat interesting premise, was bogged down due to it's intense difficulty. Today, I will evaluate whether this game is suited to your tastes. Control: You use the joystick to move the mouse left, right, up & down. Pressing the "dog" button will allow you to temperorarily ascend to a state of tenacious ferocity. 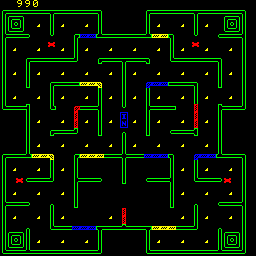 Pressing any of the three buttons allows one to alter the maze; Yellow, green, and blue alter their respective pillars. 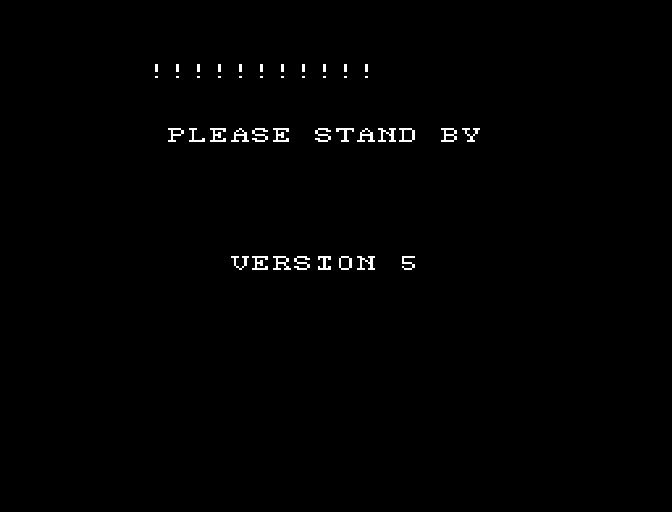 I always felt that this game got too difficult too fast. I still do.